Имате въпрос към Garden Hill Hotel? Garden Hill Mansion е предпочитан както от пътуващите по работа така и от туристите заради качествения и удобен престой, който предлага квартал пазаруване, ресторанти, разглеждане на забележителности на Транг. Хотелът не е далеч от центъра на града - намира се само на 0.5 km от него, а до летището се стига за около 11 минути. С удобното си местоположение хотелът предлага лесен достъп до всички градски забележителности, които задължително трябва да се видят. Съоръженията и услугите предлагани в Garden Hill Mansion гарантират Вашия приятен престой. Подбор на съоръжения от най-висока класа като безплатен WiFi достъп във всички стаи, 24-часова охрана, светилище, ежедневно почистване, таксиметрови услуги, са на разположение за Вас в хотела. Гостите на хотела могат да изберат една от 30 стаи, в които се усеща атмосферата на спокойствие и хармония. Освен това в хотела можете да се възползвате от множество предложения за приятно прекарване на свободното време. Garden Hill Mansion е най-подходящото място за Вас, ако търсите качествен хотел в Транг. Отличный недорогой отель с дружелюбным персоналом. На ресепшене отлично говорят по-английски. Номер чистый, без живности, постель и полотенца чистые, уборка каждый день. Хороший интернет. Есть чайник. Есть балкон. Рядом мини торговый центр, 7-Eleven в 5 минутах ходьбы. Пешком до жд вокзала 20 минут. Можно оставить багаж на несколько дней на ресепшене, чтобы съездить на острова. Такси в аэропорт 250 бат. I had a wonderful stay at the hotel with clean and spacious room. It has a small balcony to serve as a utility room as a wash basin was provided. The enviroment was calm with a nice view. Parking are available within the premises maintained by security personnel at night. Counter staff was friendly. Location was acceptable if you drive or ride; and a deposit is required upon checking in. Strictly follow the rule, any additional person need to top up. Boss is nice and he stay beside hotel. Hotel is clean and new renovation. Staff is friendly but not very familiar communicate in english. If you drive from malaysia to krabi or phuket. You can spend time for lunch or dinner at hatyai. However dont waste time to overnight there. Keep driving continue your journey to Trung and Rest here. Best place and highly recommended! 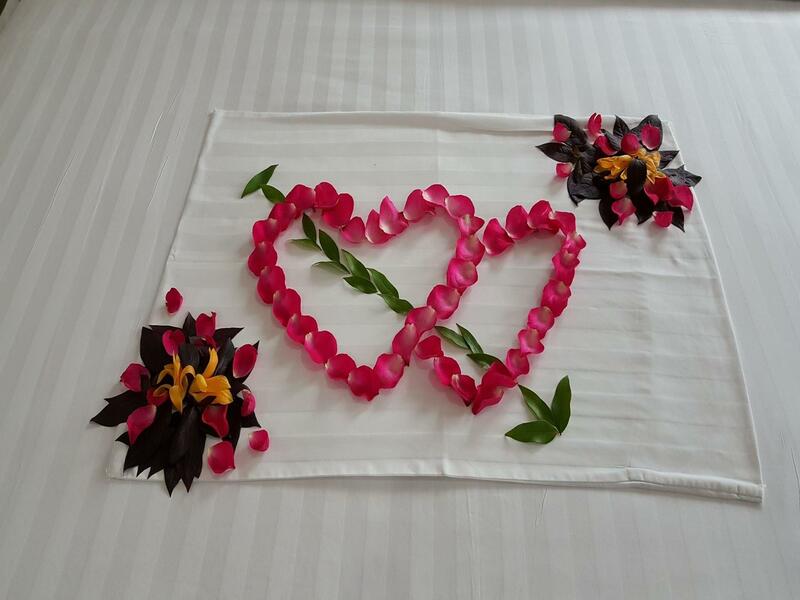 Great hotel in central Trang. Easy to walk around to spots for food, coffee, and drinks. Unfortunately there was construction going on at the time (March 2018) but I am certain that once the scaffolding and noise are gone, this place will be a gem! This hotel is a great location. I wanted to stay close to the hospital and this was perfect. It's really clean, nice staff and helpful with transport. I left my luggage there for a few hours after check out and nothing was any trouble for them. Everything was positive but a bedside light would have been very handy. I would of course use this hotel again. Awesome place, good aircon, lovely staff. Can't complain. Room is outstanding. room is big ,clean and near town ,i stay 4 night here. very friendly staff ,nice and.cosy hotel ,i stay 3 night there ,i will.come back again . Stayed 2 nights and at 494 baht this is goid value for your money. 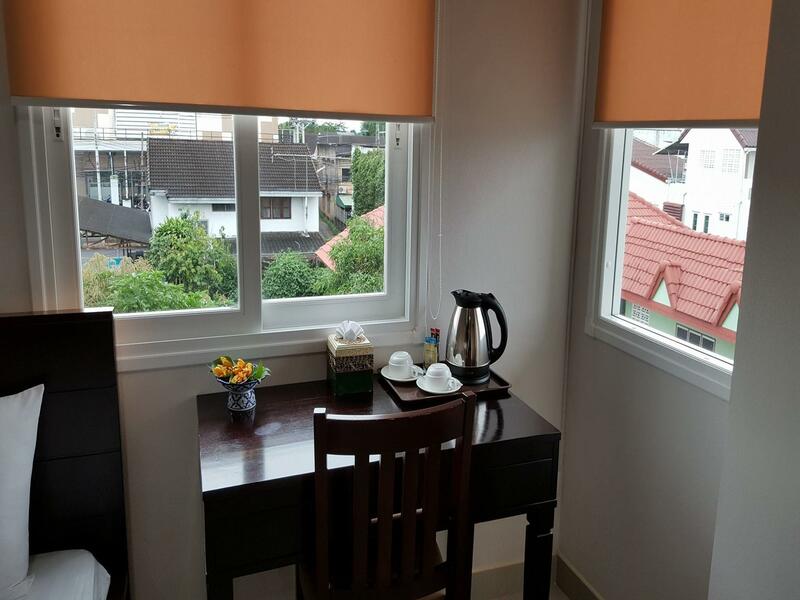 Hotel and rooms are exceptionally clean, as frequent traveler in Thailand and SE Asia I tend to checkout bathroom first and that’s usually my deal breaker, if what you can see is dirty most likely what you can’t see isn’t going to be clean. Much different standards for Farang versus Thai. The bed was firm but comfortable. WiFi good enough. Staff was efficient and helpful and friendly. 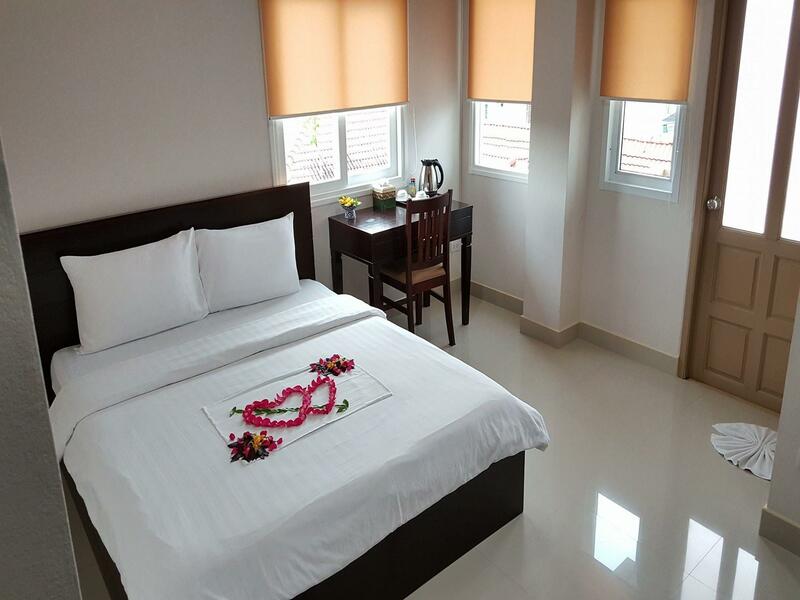 The location is good about 10 minutes walk to Cinta Night Market and other smaller market, as well about 5 minute (20 baht) to train station on motorbike taxi. Cons: No safe deposit box in room on 3rd floor. The only issue I had was the building is being remonodeked and the first morning was very noisy from construction but my second morning was much better, this is only temporary so not a big deal. This is one of the best hotels I have stayed in all of Thailand. I will definitely return on my next trip. Excellent cheap hotel with friendly staff, perfectly speak English. The room is clean, bed and towels are clean, cleaning every day. Good WI-FI internet. There is a kettle. There is a balcony. Mini shopping center near. 7-Eleven is a 5-minute walk. Train station 20 minutes walk. You can leave your luggage for a few days at the reception to go to the islands. Taxi to the airport 250 THB.